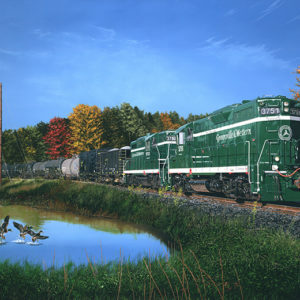 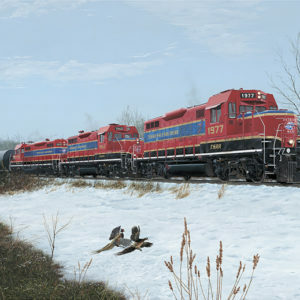 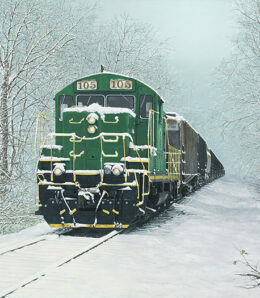 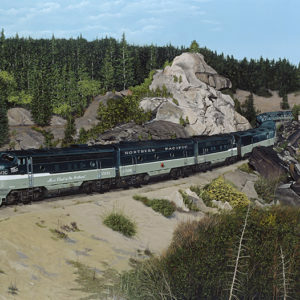 This scene depicts the North Coast Limited Engine No. 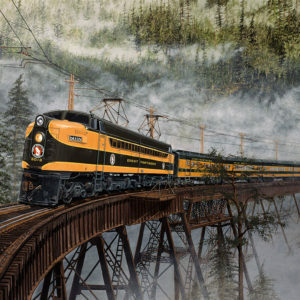 25 twisting and turning its way westbound over the summit of Homestake Pass in the beautiful mountains of Montana. 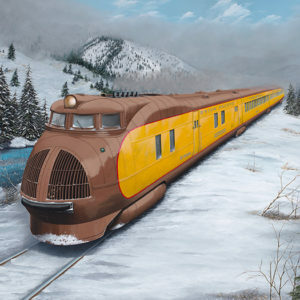 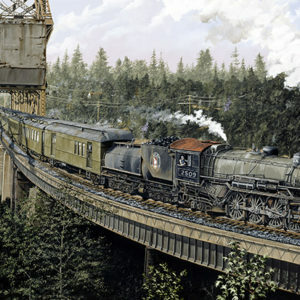 The Northern Pacific Rocky Mountain Division ran its premier passenger train service from Chicago, Illinois to Seattle, Washington with a section going to Portland, Oregon. 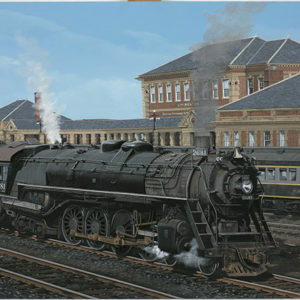 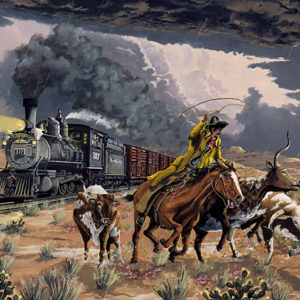 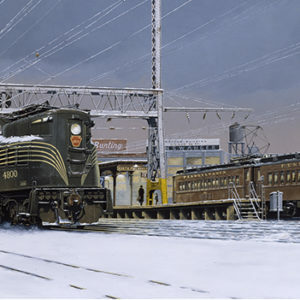 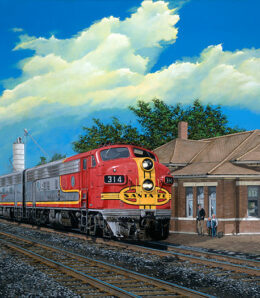 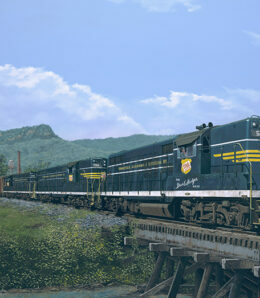 It was one of the most exclusive passenger train services in the United States at the turn of the 20 th century. 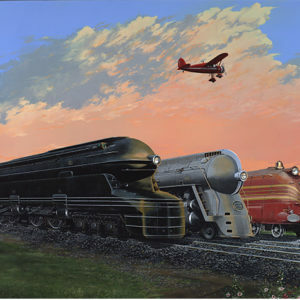 It featured coaches, dome coaches, sleepers, dome sleepers, a slumber coach, and a diner and lounge. 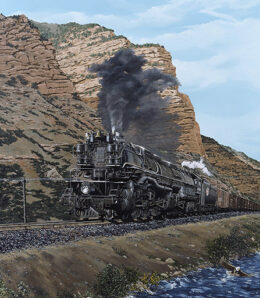 This route through the canyon is but a memory now. 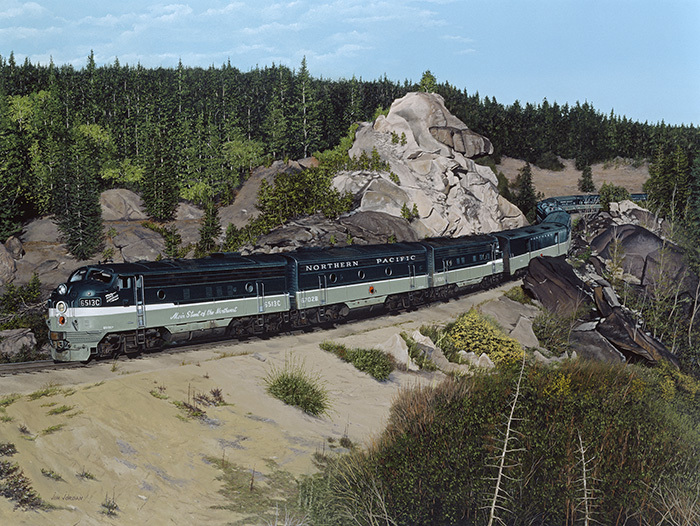 With the merger of Burlington Northern and Northern Pacific Railway in 1970, this pass is no longer being used.